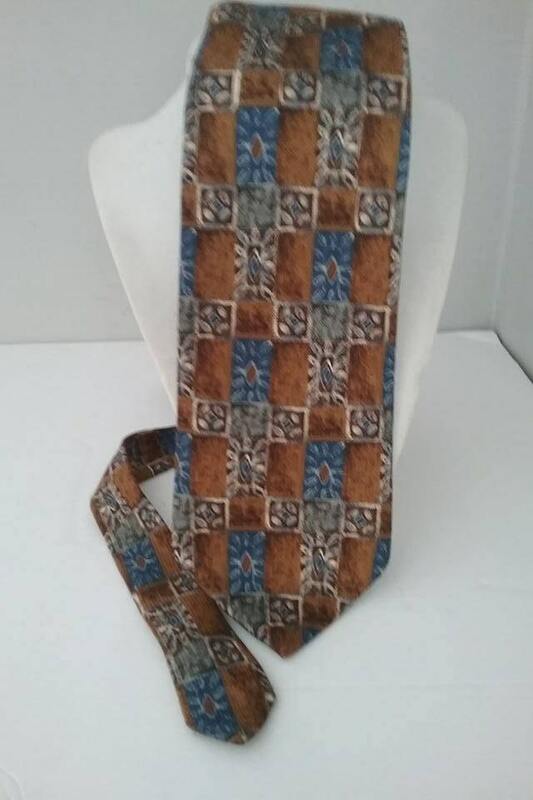 Men's Vintage Silk Tie, Canadian Made by Moore's. 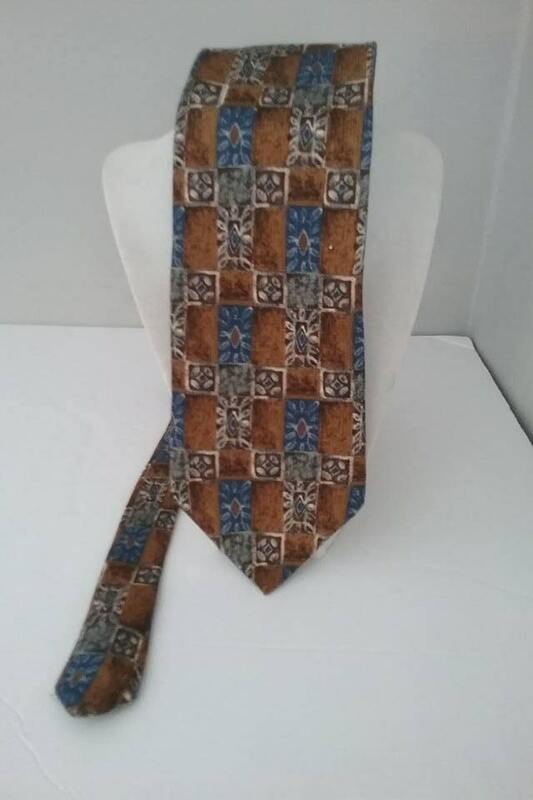 100% silk, made in Canada, approx. 1989-92. 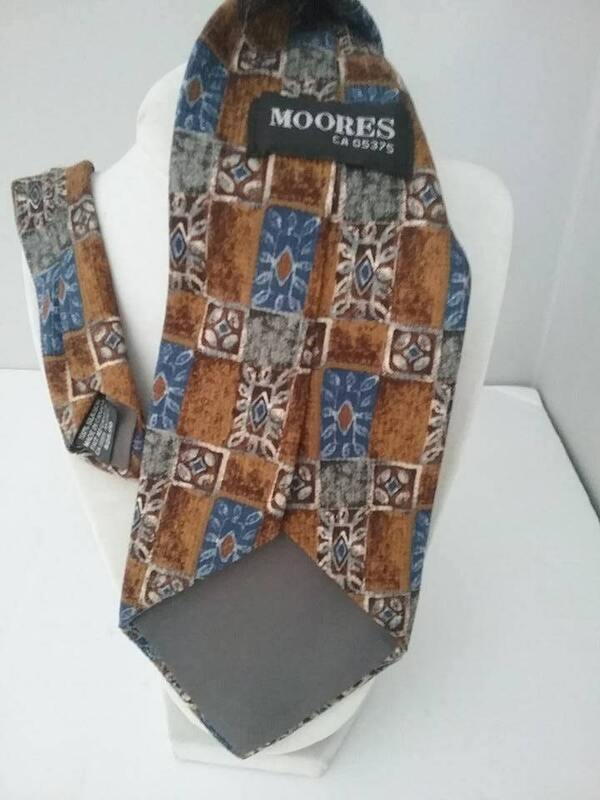 Vintage Moore's Designer Silk Tie. 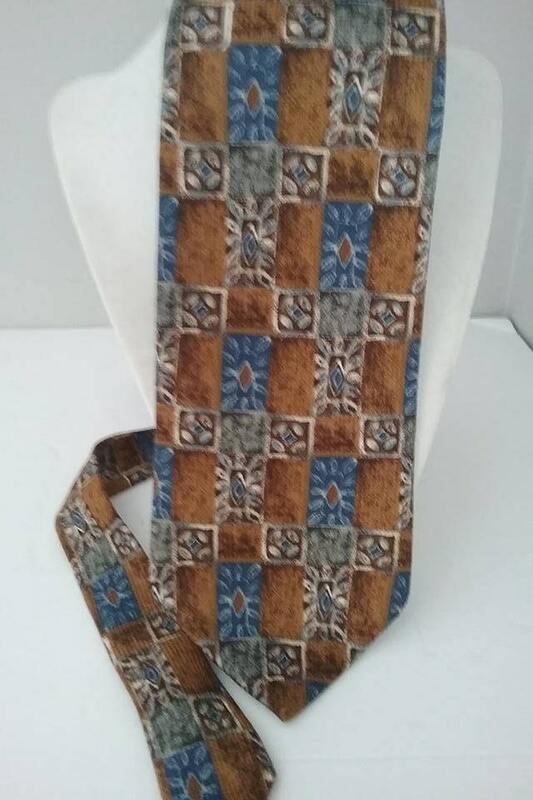 Gorgeous browns, golds, blues and creams in a rectangular boxed pattern, will be a piece you will go to for a variety of your suits. 4" at widest, and 1.5" at smallest. Approx 57" long. You set the standard. Excellent vintage condition.